"I always knew I liked him," Trump wisecracked about the Supreme Court justice and father of many. It wasn't just Antonin Scalia's conservative jurisprudence that impressed President Donald Trump. 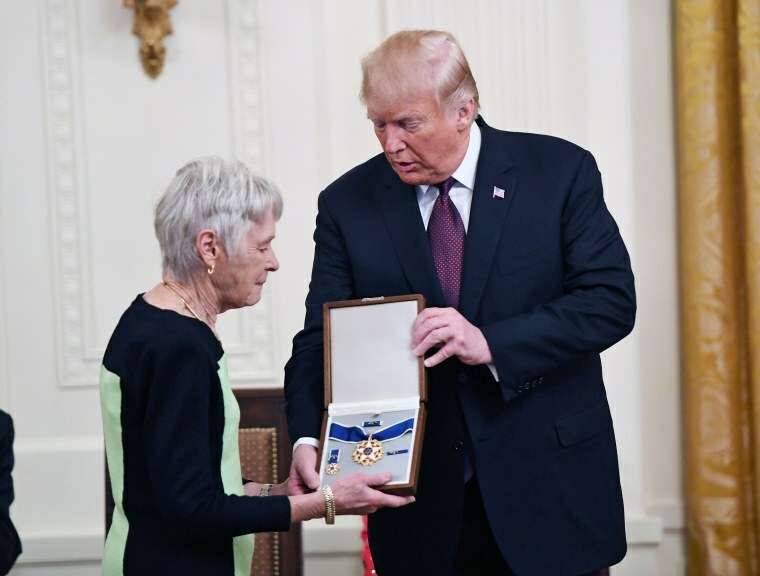 At a Medal of Freedom ceremony at the White House on Friday, the commander in chief lauded the Supreme Court justice — and his wife, Maureen, who accepted the medal posthumously for her husband — for their proficiency in procreating. Trump, in his introduction of Maureen Scalia, pointed out that the couple had nine children together. "You were very busy," Trump said. "Wow. Wow." "I always knew I liked him," he added, to laughter from those in attendance at the ceremony. The Medal of Freedom is the highest national honor a president can bestow on a civilian. Antonin Scalia, who had been the bench's longtime ideological conservative, died in February 2016 at the age of 79.